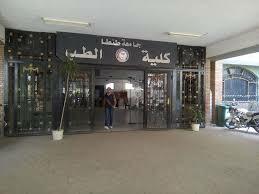 Faculty of Medicine at Tanta University is a governmental Faculty that was established in 1963 according to the republican decree No. 1468. It is located in Gharbia governorate. The period of study at the Faculty is six years. It grants the Bachelor's degree in Medicine and Surgery in Medical Sciences through medicine and surgery program. The first class was graduated in the academic year 1969-1970.